Business Services I am qualified to prepare business tax returns and provide financial consulting services for small businesses, including setting up QuickBooks to manage your occult-related enterprise. 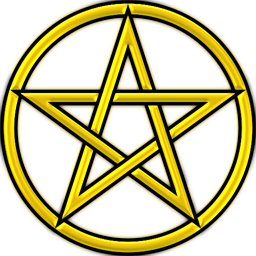 Non-Profit Status If you have a coven, lodge, temple, or other spiritual community I can help you to incorporate as a non-profit organization and qualify for the many benefits that come with this status. 501(c)(3) Tax Exemption Once incorporated as a non-profit organization, the “holy grail” of Federal Tax Exemption under IRS Code 501(c)(3) is within your reach. This exempts your group from paying taxes and also allows your members to deduct their donations and services to the organization. 501(c)(3) status provides significant benefits and can result in huge tax savings. As might be expected the IRS does not make it easy for occult groups to obtain this status, but it is possible if you know what you are doing. I have been directly involved in several successful applications for 501(c)(3) status and can assist your group to achieve it as well. Contact me for more details about the services I provide for spiritual groups of every kind.